Warner Bros. announced a DLC Season Pass for Batman: Arkham Knight earlier this week but neglected to say exactly what new content the pass included. Today they corrected that error with a full run-down of the game's DLC. Season Pass owners can become Batgirl in "A Matter of Family," a prequel story that takes players to "an entirely new location." 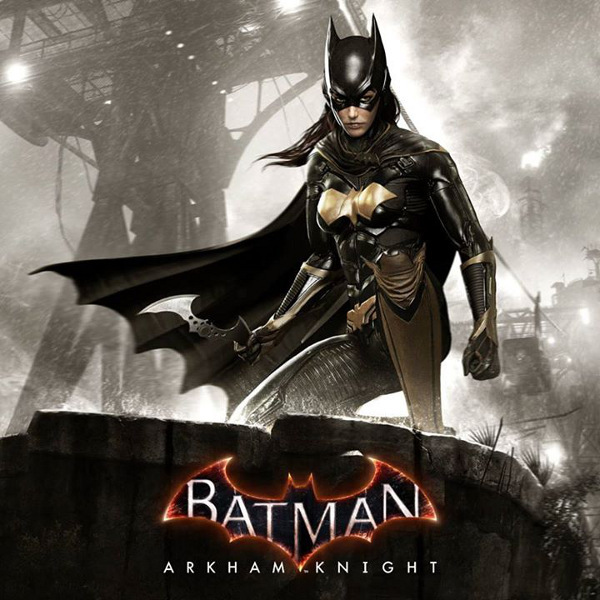 This will be the first time in the Arkham series that Batgirl will be playable. Another set of missions, dubbed "Gotham City Stories," will star other allies of Batman. Their names weren't revealed but Nightwing, Robin and Catwoman are all probable. I'm holding out hope that Azrael, who popped up in the last trailer, will be playable as well. These story missions will be set before and after the events of the main campaign. Batman: Arkham Knight's DLC will give players plenty of chances to continue their adventures with the Dark Knight as well. In "The Season of Infamy," Gotham City will be invaded by new supervillains and Batman will have to take them down. Warner Bros. notes that these missions will have new "gameplay features." Maybe we'll get access to some never-before-seen gadgets in Batman's arsenal? If you'd rather just joyride in the Batmobile, you can do so on several new race tracks. These race tracks will be based on different eras from Batman's 75-year history. Players will also have access to historical incarnations of the Batmobile as well. There's no mention of multiplayer so you may just be racing against the clock here. Rounding out the DLC schedule are a few more conventional add-ons. Players can become Batman or his allies in a series of standalone challenge maps. They'll also get access to skins "from across the eras" for Batman, Nightwing, Robin and Catwoman. One DLC will be released each month for the six months after Arkham Knight's launch. The exact schedule wasn't announced, though WB announced previously that the PS4 would get early access. "As we fully ramp up development on the Season Pass, we will be sharing even more details on each monthly content drop," Warner Bros. said on their Facebook page. "We hope you enjoy playing Batman: Arkham Knight as much as we’ve enjoyed making it." You'll have to pay $40 to get the Season Pass. Buying the DLC packs individually should cost even more than that. If you want to buy the game and Season Pass in one fell swoop, you can pre-order the $100 Premium Edition. The Season Pass doesn't encompass all of the DLC being developed for the game. Customers who pre-order will get story packs starring Harley Quinn and Red Hood.